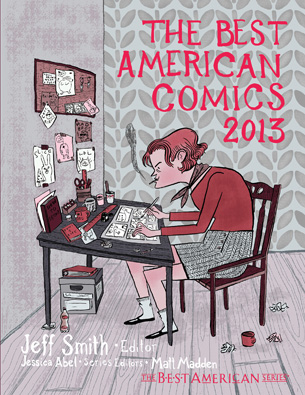 Somewhere in the back of the latest Best American comics a comic of mine was listed as notable comic of 2013. What does that mean exactly? Honestly, I don't know. But I'm honored to be among such a list of talented folk. I recommend checking out everyone listed and of course buying BAC 2013.
click on the above pic to read all about it.